Commenting on Wednesday's reports that Daesh leader Abu Bakr al-Baghdadi has issued his "farewell sermon" where he admitted the defeat of the terrorist group and urged the jihadists to "flee and hide," Russian political analysts explained why it looks completely fake and why the figure of the Daesh chief himself also raises certain doubts. 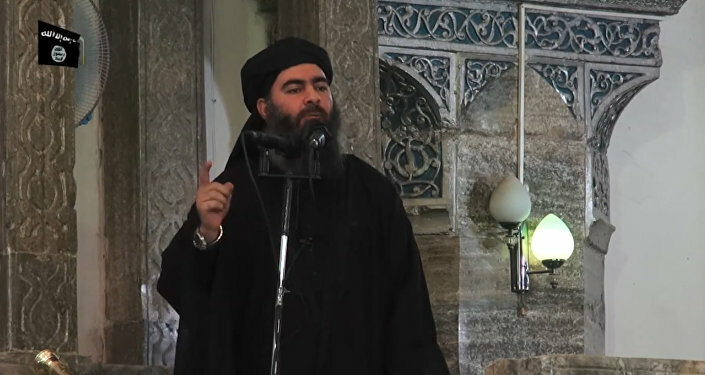 On Wednesday, independent Iraqi news network Alsumaria reported that Daesh (Islamic State/ISIS) leader Abu Bakr al-Baghdadi has acknowledged the terrorist group's defeat in Iraq and urged his supporters to take refuge in the country's mountainous regions. The outlet said that the Daesh chief has issued what it called a "farewell speech" specifically directing the terrorists to flee besieged Mosul, their last major stronghold in Iraq or "blow themselves up when surrounded by Iraqi forces." Alsumaria quoted a source in Nineveh province as saying that al-Baghdadi circulated his address among Daesh preachers to deliver it to fighters at different locations in Mosul. Commenting on the reports, defense analyst Anton Mardasov, who heads the Department of Middle Eastern Conflicts of the Moscow-based Institute of Innovative Development, pointed out why the figure of the Daesh chief himself raises certain doubts. Al-Baghdadi was one of the ideologists of the self-proclaimed Caliphate, he told Russia's online newspaper Vzglyad. He perfectly knows the Quran and manipulates the Islam, fitting the religious foundation under his political ideas. The Daesh chief, he said, has developed the ideology of the Islamic State where he specified what differs this particular organization from other groups. However, Mardasov further noted, there has been no reliable information about him since 2015 even though different Iraqi media sources regularly report about his alleged whereabouts and even about his death. 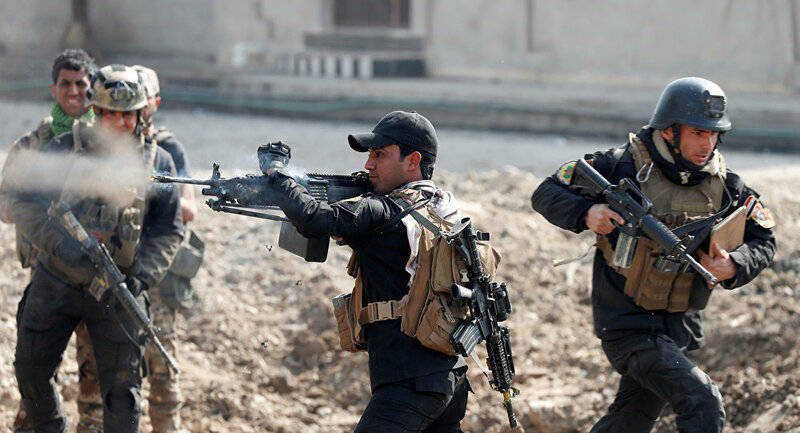 The expert suggested that Wednesday's report might have been fake news released by the Iraqi agencies in order to have a certain effect on the Islamists. He further explained why it seems to be fake. "The Islamic State has never released any information about its defeats or otherwise losses. It is nontypical for the news agenda of the organization," he said. Meanwhile, Sergei Seregichev, an expert at the Institute for Middle Eastern Studies has called al-Baghdadi nothing but a "talking head" of this umbrella organization. "He is somewhat of a press-secretary," he told Vzglyad. "The group itself is a network structure which looks very similar to that of mujahideens in the times of the Afghan war," he said. He further suggested that in fact those are the field commanders who are in control of the group's activities and who make important decisions and act independently. "Each field commander controls his own area where he fights and makes decisions," he said. They will never get in the public eye, he added, as they or their relatives will get easily targeted and eliminated. Such field commanders, he said, might not necessarily look like mujahideens, they might be even wearing NATO's decent uniform and not wearing any beard. Seregichev however noted that in the times of the media activism, there should be a certain flamboyant person who will occasionally voice certain theses on behalf of the organization. "In reality, regardless of his impressive title and flamboyant appearance, al-Baghdadi does not make any decisions. He is simply a media image. And his task is to attract sponsor money and recruit young people into the ranks of the organization," he said. He also suggested that this so-called "farewell speech" might have been aimed to imitate the running away of the terrorists in order to provoke an ill-planned attack of the Iraqi army on Mosul. Or, on the other hand, it might be misinformation released by the government forces to spread panic among the terrorists. Meanwhile, political analyst, an expert in the Middle East and the Caucasus Stanislav Tarasov pointed out to Radio Sputnik at the timing of the al-Baghdadi's address. "Look at the intrigue: only recently President Trump has received a new Pentagon's plan of the further fight against Daesh. He was only planning to start this fight, looking for potential allies and working out a strategy. And here comes the victory! The leader of the terrorists announces their defeat," he told Sputnik. "It turns out that the US has already achieved its victory without even entering into any fight. It looks like the Islamic State is very much dependent on the US," he finally stated.